Hotel Hill View is a deluxe budget hotel located in Gateway of Garhwal, Kotdwar. 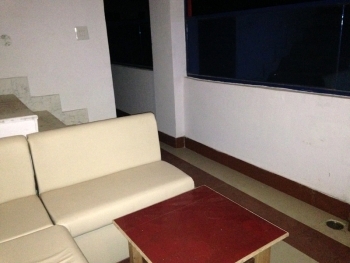 The hotel have been designed taking care of homely feel & comfort of our visitors. The hotel has service staffs which are proficiently trained to dedicate themselves for the comfort and satisfaction of the guests. The service standards are such that all the requirements of guests are put to paramount importance. Hence making the experience a package of complete satisfaction from the time you check in to the time you check out. The hotel is located near Garhwal cinema in the vicinity of Jhanda chowk in the town of Kotdwara, in district Pauri of Gharwal region, Uttarakhand. It is situated at the border of Uttarakhand and Uttar Pradesh on the foothills of the Shivalik Range of Himalayan Mountains. It is surrounded by various tourists places like Lansdowne (45 KM), Rishikesh (84.6 KM), Haridwar (64.8 KM), Mussoorie (145.5), Jim Corbett National Park (92.2 KM). 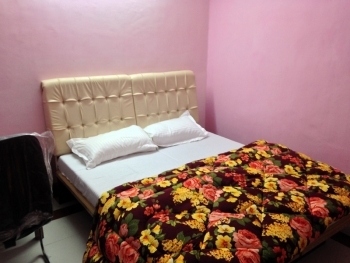 The hotel offers cozy accommodation within budget and each room has deluxe amenities such as AC, TV, attached bathroom with running hot/cold water. The restaurant serve Indian , Chinese, South Indian Rajasthani and Punjabi cuisines in and outside its air conditioned dining hall. The restaurant takes pride in its big city menu variation while offering them at an affordable price and offers room service too. - DFM Plaza is an abbreviation for Dance, food, masti. These all factors constitute the plaza for every age group which includes Music system with lighting and disco jokey catering mock tails and soft drinks alongside fast food , lunch and dinner. By Air: Jolly Grant Airport is the nearest Airport to Kotdwar situated at a distance of 102 kms. Taxis are easily available from Jolly Grant Airport to Kotdwar. Jolly Grant Airport is well connected to Delhi with daily flights. By Rail: Kotdwar is well connected by railway networks with major cities of India. By Road: Kotdwar is well connected by roads with major destinations of Uttarakhand and northern states of India. Busses are easily available from ISBT Kashmiri Gate(208Km). Buses and Taxis to Kotdwara are available from Dehradun (120Km).